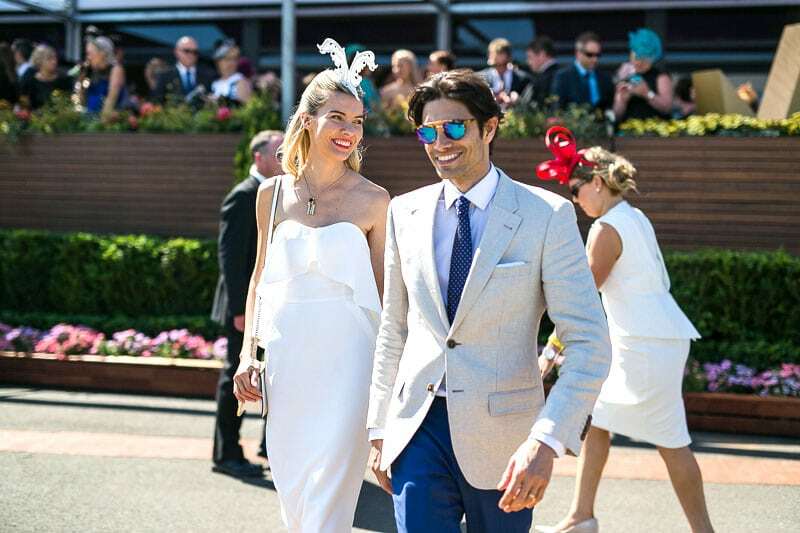 It is our favourite time of year again, as the Melbourne Racing Club presents one of the most prestigious events of the season. 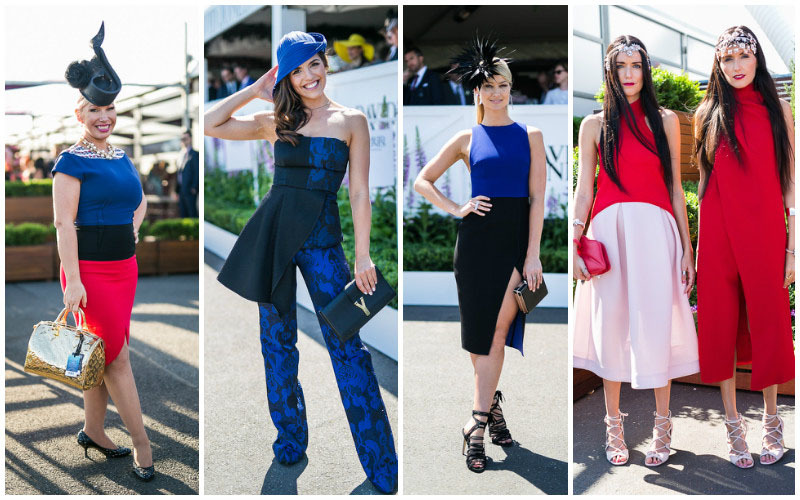 On Saturday, Oct. 21, the third and final day of the event is the BMW Caulfield Cup day, and this is your moment to shine. 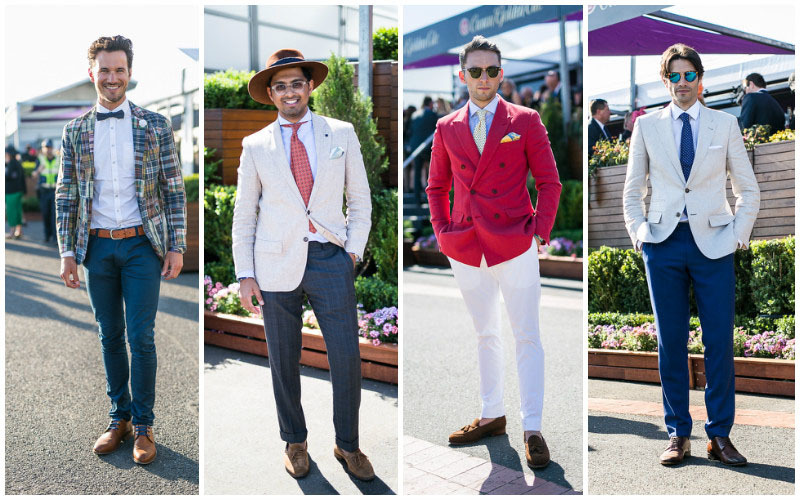 Not only does the event boast the world’s richest handicap on turf over 2400m, but it’s also the day for the best-dressed men and women to showcase their style – and the stakes are high. 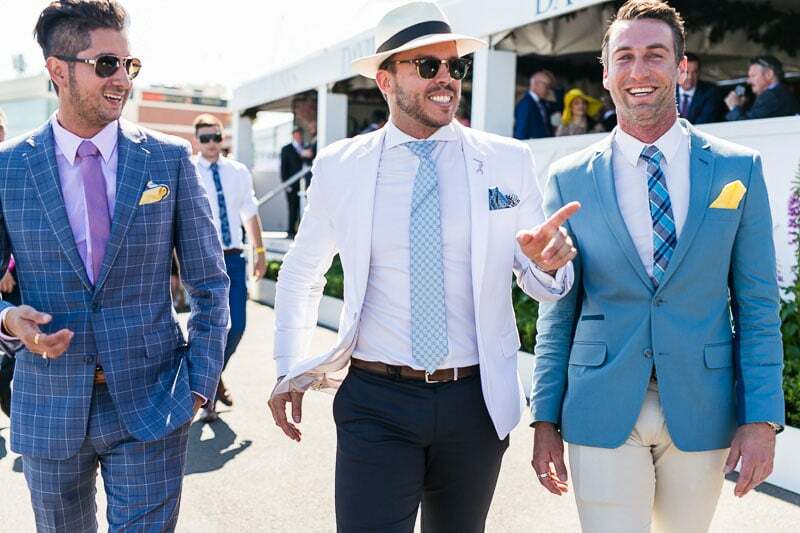 We know you probably have been planning your outfit to ensure that you’re a shoo-in, but if you are still not sold on what to wear to Caulfield Cup, below are some ideas to help you out. 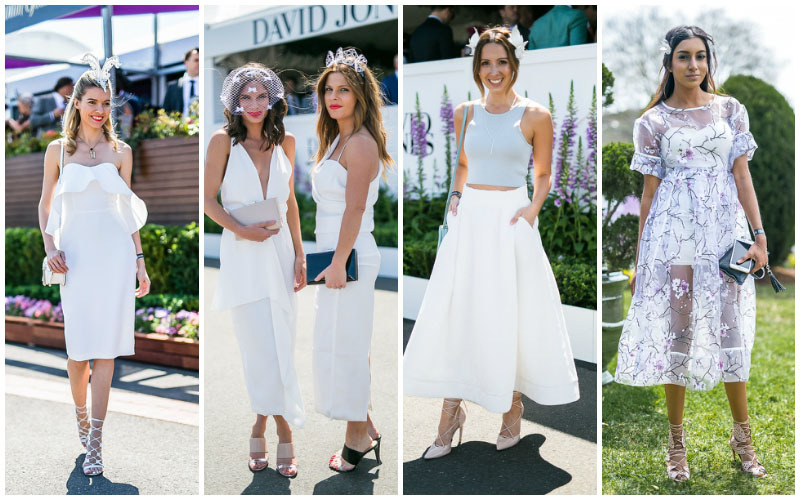 The Caulfield Cup is usually one of the most star-studded events of the year, and ladies are expected to adhere to a suitable dress code. Leave the midriff-baring tops, and shabby footwear at home and opt for simple silhouettes and classic styling. A feminine and stylish option are billowing full-skirts with a mid-length hemline and well-fitted tops (a combination that tends to flatter almost any body shape). Lace or garments with lace trims are perfect to wear for spring events. They add a romantic touch to an outfit and proved to be popular on the spring/summer runways. The event is also the perfect time to try out white-on-white styling. White-on-white is classic and straightforward, but also incredibly striking and is a fantastic colour to wear on scorching days as it tends to reflect the sunlight. Another great way to stand out from the crowd is to use colour blocking, either two contrasting colours or one solid colour throughout – if you are choosing a solid, neutral tone then compliment the outfit with bold and bright accessories. Never underestimate the power of accessories and finish off your look with classic or bold millinery choices. Also, consider your footwear choices; while heels are always preferable for formal events, if you want an alternative to stilettos and something that is much easier to walk especially on the fields then opt for wedges or pumps. For the rest of your look, ensure that you are well groomed, and your makeup is kept natural and minimal. Lastly, remember that if you want to get noticed it’s important to be an individual and let your personality and sense of style reflect your outfit choice while adhering to sartorial etiquette. Gentleman, it’s also your time to shine. 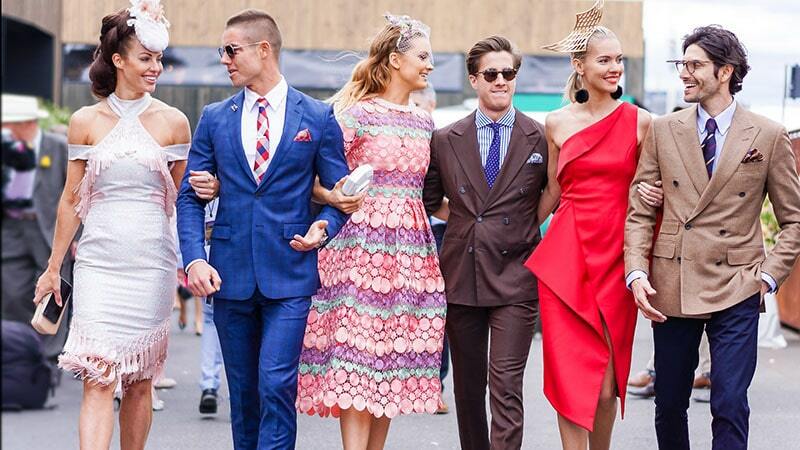 The Caulfield Cup is all about tradition and sophistication, and if ever there was a time to wear a suit, it’s now. But that doesn’t mean that your outfit choice has to be boring. The event is also the time to experiment with patterns and colours and to allow your personality shine. Checks and floral prints are a fun alternative to a solid jacket. Popular colour trends for spring include emerald, pastel shades of pink and blue, and natural tones like sand and khaki. For a summer look, wear a crisp white button down, or for the more daring a floral or paisley shirt will liven up a solid coloured suit. It also helps to choose light colours rather than traditional black or charcoal suits – these colours tend to absorb heat. If you are worried about being too warm during the spring sunshine, then ensure that you choose fabrics that are breathable and lightweight, jackets that are not lined or padded, and pants that are tapered and well-fitted. Finish the look off with a pair of brogues or oxford shoes, cufflinks and a pocket square – or a bowtie. Coordinating your outfit with your partner can be complicated, and may take a little sacrifice, but if you want to steal the spotlight at an event, you need to ensure you are coordinated. It’s important to realise that coordinating your outfits does not mean you have to be matching – because that can look incredibly tacky – rather it means that you are dressing on the same level of formality. It also requires some subtle colour coordination the colours do not have to match exactly. If your partner is wearing black, then you have free reign. It is usually easier for a woman to choose her outfit first so that the man can complement the look by selecting a tie, shirt or blazer in flattering hues.